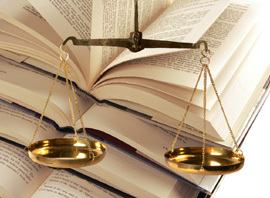 Home › FAQ › What Extra-Curriculars are Good To Become Involved In When Applying to Law School? Competition is fierce when it comes to today’s top law schools, and students need more than a good LSAT score to get in, which is why it’s important to know about extra-curriculars that are good to be involved with when applying for law school. If you’re applying to places like Duke, Yale or Columbia University, then you’ll need to stand out amid a sea of highly qualified and academically equal candidates. The good news is that you don’t necessarily need to become a member in various legal organizations. Law schools look for people with diverse backgrounds who can excel in different courses while contributing to the reputation of the school. You don’t have to join every student organization that relates to law, but you should become a dues-paying member of at least one or two that speak to your interests, according to Ms. JD. Legal societies, such as the American Constitution Society or the student division of the American Bar Association, allow you to gain more exposure in the field of law that you find most interesting. Honing your skills and getting to network with like-minded individuals will set you apart when it’s time to apply to law school. As a member of a nationally recognized organization, you’ll also be able to stay on top of the issues that matter to you. Plus, joining early allows you to work your way through the ranks. You don’t have to become president of your local chapter, but by the end of your senior year, you should be able to demonstrate a progression of leadership. Like all colleges, law schools look for candidates with diverse interests. It’s not enough to sign up for every law organization on campus. You need to devote some time to things like community service or special interest clubs. According to an article regarding law school admissions hosted on U.S. News and World Report, law schools want you to “provide them examples of significant leadership rather than simply attempt to reinforce your passion for the law.” If you’re interested in emergency cleanup, for example, then consider volunteering with your local chapter of the American Red Cross. Political science majors might invest some time into local political races or covering debates in their school newspaper. Show law schools that you have other interests because these interests will drive your future practice. It’s important to note that law schools prefer candidates who do well in a few quality organizations over those who spread themselves thin across too many organizations. It will be obvious from your admissions packet that you only joined clubs for the purpose of applying to law school, so take some time to consider your interests and pursue organizations that support those interests. Give your prospective law school the chance to get to know you on a personal level beyond the LSAT score and GPA. When you’re applying for law school, your resume should show that you cared enough about your undergraduate career that you invested some time and energy into bettering yourself, your peers and your community. The extra-curriculars that are good to be involved with when applying for law school include those that speak to your interests while preparing you for life after graduation.